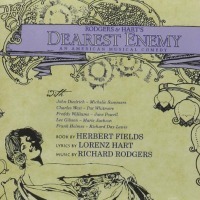 Studio Cast, 2013 (New World Records, 2CDs) (4 / 5) To anyone wondering why it took nearly nine decades to come up with a complete Dearest Enemy, read the excellent notes that accompany this fine recording. As with so many musicals of an earlier age, even some of the big hits, the parts and orchestrations were either lost or in fragmentary shape. Enter Larry Moore, who reconstructed the score from various extant pieces and, when necessary, found entirely valid ways to bridge the remaining gaps. (At one point, a little Tchaikovsky gets tossed into the mix. Well, why not?) With David Brophy conducting the Orchestra of Ireland and a fine cast, we now have as definitive an Enemy as could be imagined. If it perhaps lacks a bit of the conviction of the earlier British recording, everyone performs with spirit and charm. The orchestra and ensemble sound luscious; Annalene Beechey and James Cleverton are dandy lovers; and Kim Criswell, as Mrs. Murray, manages to keep the excesses at bay and stay in character. 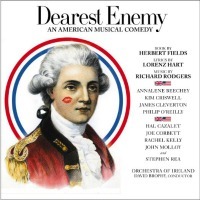 Everyone else is equally good, some dialogue is included to give a fair sense of the show, and there’s even a guest star: Stephen Rea, in the spoken role of George Washington. A major work has been stirringly served here, as have Rodgers and Hart and, really, everyone who wants to know about the delights of 1920s musical theater. — R.B.